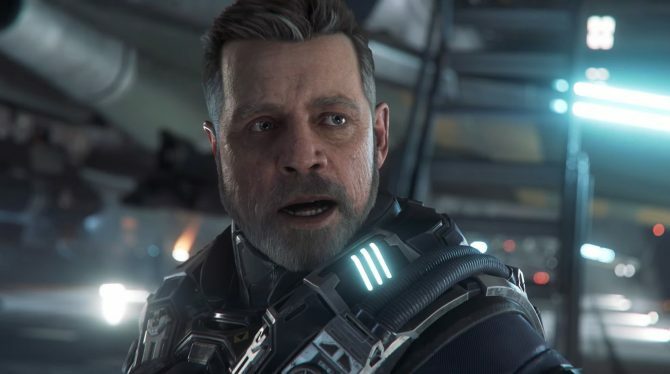 Today, during Star Citizen‘s Holiday livestream, Chris Roberts’ Cloud Imperium Games finally provided new information and a lot of footage of the game’s single-player campaign Squadron 42. Interestingly, we learn that AI characters will normally go about its usual schedules and routines, but the player will be able to go up to them and trigger storytelling moments custom-designed by developers. 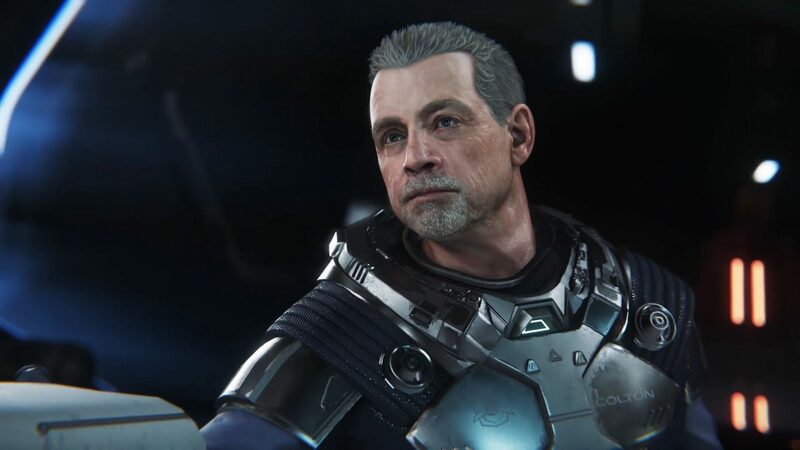 According to Chris Roberts himself, the script of Squadron 42 is 1600-1700 pages. The team is aiming to remove the boundaries between gameplay and cinematics, making the game feel like a believable and cohesive world. We also learn that the vertical slice that you’ll see below includes about 100 unique characters. The combat AI is still work-in-progress. But they can already react to the player, talk to each other, reposition, take cover and more. The team is working to improve animation, so that, for instance, they will take cover in different ways. You can enjoy the video below, showing the exploration of the enormous interior of the Idris class UEES Stanton frigate, and interaction with NPCs. When the player is called to the briefing room, we get to see the game’s star-level cast in action, alongside the game’s dynamic cutscenes. Also, try to spot the Terminator Easter egg. After more cutscenes and NPC interaction, the player finally gets to his AEGIS Gladius fighter and a combat mission starts. After quite a lot of flying, exploring some extremely impressive areas of space, and some combat, the player enetrs the atmosphere of a moon and lands at a base, where the mission continues on the ground featuring FPS-style gameplay. Do keep in mind that this is a pre-alpha vertical slice, but despite a the rough spots, the Wing Commander feels are definitely there, and they’re strong. 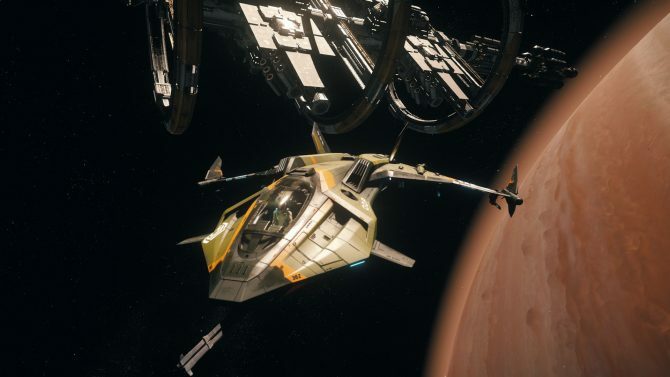 After the Squadron 42 demo, we got a special video about the Idris, another about the Avenger, one of the Tumbril Nova heavy battle tank, and a small update on the Origin 600i. On top of the videos, we also get an update on the game’s crowdfunding tally, which is now at $174,139,371, with 1,944,020 registered users. 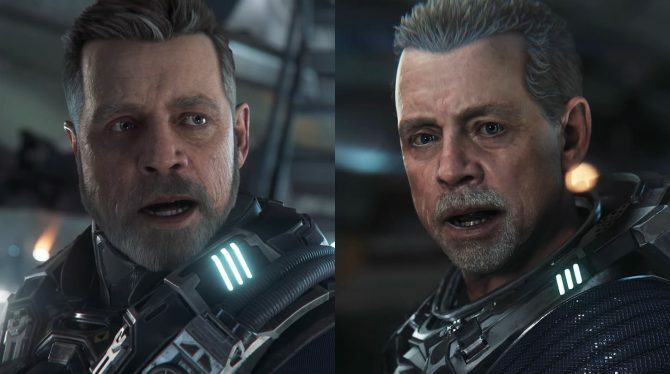 Before you watch the video below, for the sake of full disclosure, the author of this article is one of the original backers of Star Citizen. If you want to see more, you can also enjoy a teaser featuring Mark Hamill, a video on hoverbikes, one on atmospheric flight, and one on the Cutlass Black.